Hi! I'm very artistic but know nothing or very little about sewing and have embarked on a project to make a whole bunch of patchwork pillowcases with beautiful coloured patterns! I'm very excited but feel like I'm making a mess of the entire project because of rookie mistakes and I need experienced guidance. Where I live there are no experience seamstresses/tailors with patchwork experience (I am in Central Africa) so no one to turn to. I'm making 16-patch pillowcases for 16x16inch inserts. One tutorial I read said cut 16-inch panels, because you want your pillowcases to be snug. So I went ahead and cut Hundreds of patchwork squares 4.5 inches square (losing 1/4 inch for the seam chain-sewing). Yes, I know. I jumped in with both feet, and eyes closed. I think I got really excited about learning to use the rotary cutter and self-healing mat. Now, I'm really worried that once I sew the 16-inch panels together, I'll lose even more seam allowance and they'll be closer to 15-inches and will be too small for the inserts. 1. Should I have planned for 16.5 or 17-inch inserts? 2. Should I have planned for bigger patchwork squares? 3. Should the patchwork squares that are on the edge, where there is a seam, have to be even bigger than the patchwork squares at the center of the pillow-case panel? Looking at YouTube tutorials I realised there are even special patchwork rulers like 2.5x6 or 4.5x9 or even square ones!! If I had known!! I really hope someone can help alleviate my anxiety at messing everything up before I even start. Someone I asked suggested to make a border like a log cabin quilt, and down the rabbit-hole of Google searches I went and I'm even more confused now. I really appreciate any advice you can offer, dispense, inculcate. Welcome to the board. You will learn so much here. With 4 1/2” squares and scant 1/4” seam allowance (one thread less than 1/4” to allow for bulk when pressing) you will end up with a 4” finished square. Making 4 across and four down will give you finished 16” (16 1/2” unfinished). A lot depends on the thickness of your insert. You can make one and see how that works out. If it is too tight, try making your seam allowances 1/8”. You would have to decrease your stitch length and really line up the edges well so you are sure you grab all the fabric. You could also sew with the 1/4” seam allowance and add a border all around. Good luck. You could also add sashing between your 4.5 " squares to enlarge the finished square. As mentioned above, sew the squares together...but rather than use an 1/8"seam, which could ravel....if needed to fit pillow insert, I would opt for a border, oh, maybe 1" wide then sew with the normal 1/4" seam...solid fabric would frame those squares beautifully.......have fun......keep checking YouTube for tutorials on all aspects of quilting, you will learn much! Hello & welcome to the board! Many quilters will relate to your jumping in with both feet! As I understand it, you have cushion inserts that are 16X16", and have cut 4.5" patches. You are planning on arranging them in 4 rows of 4. You have actually cut them correctly. In quilting, we use a 1/4" seam allowance. A cut 4.5" patch, if perfectly sewn, will come out to a perfect 4" square. From what you are saying it sounds like your seam is a bit too wide so your patches are a bit too small. You have 2 options: either un sew them & re sew with a narrower seam or complete the pieced section and add strips of fabric around the perimeter, creating a border (the log cabin suggestion). One other thing to check is pressing. You should be pressing as you go. Sometimes you can get a tiny pleat in the seam which will throw off your measurement. i recently made one with 2 1/2 inch squares. the seam allowances were fine. it fit my 16 inch pillow form. if for some reason your's is too tight, you can add a skinny border around you pillow top. Good luck. I agree with adding a border, since you have already cut the squares and I assume you already have the forms. My suggestion is also to actually measure the insert. Use a tape measure and measure all the way around the form. Add at least 1/2 inch to give it a little bit of give, as you want it snug, not tight when it's finished. Divide that number in two to see how big you actually need your patchwork to be. I would not do anything less than a 1/4" seam, either. Welcome to the board! You have some good suggestions here. Your enthusiasm is great, but as you have learned, it's a good idea to finish a test block for your project before you cut out multiples. Go ahead and finish one 16-patch and see how it fits. If it needs to be bigger, try to decide how much you need and add a border. Remember you will be bordering all four sides, so if you think you need two more inches, the borders would be one inch on each side. You also need seam allowance, so your strips would be cut 1.5" wide. Do post some pictures - we love them! And come back if you have more questions, newbie or otherwise. There are lots of helpful people on this board. Add a wider border than needed - a 1 1/2 or 2" order on all sides. Test is on the insert, then you can trim it down for a snugger fit before your final stitches. Thank you for that suggestion. I don't actually have the inserts, I'm making the cases here and sending them to my friend in the US who has inserts, so that's where my anxiety is coming in. 1/8" seam allowances will be too small, I don't think I can manage that. It sounds like I either have to add a border or recut larger squares. Last edited by Vandamme; 05-12-2018 at 06:21 AM. I have seen sashing before, now I know the term! :-) Thanks. I will try one with sashing in between. I might really like the look and decide to do it that way from now on. Thank you for those suggestions. It's so helpful, actually to break it down for me. I will keep those measurements in mind. After reading everyone, I do think I need the finished cases to be 16 inches so I need 17 inches to start with, so either a border or sashing to add the missing inch or two. I will work on that this week. I'm afraid that if you make your 16 patch blocks (4x4) they may turn out just shy of the 16" you need, and not really shy enough to warrant a border. 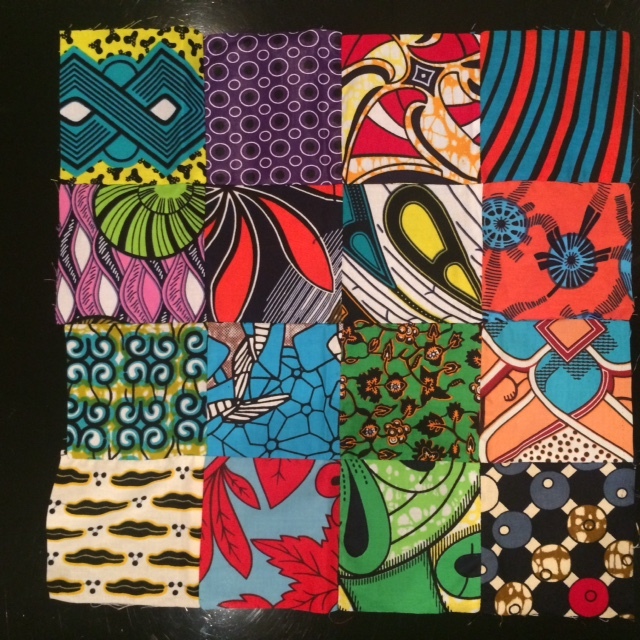 You could make the center patch 3x3 (12-ish" square), add a 6" border, then square it up to 17" (allowing 1/2" seam allowance). With the hundreds of squares you have cut, you could make more cases. Good luck with your project. I hope you can share the results and that your friend is pleased with them. I think you are worrying needlessly. Keep in mind that you want a snug fit. I would go ahead and add a sashing or borderall the way around, but not between each square. 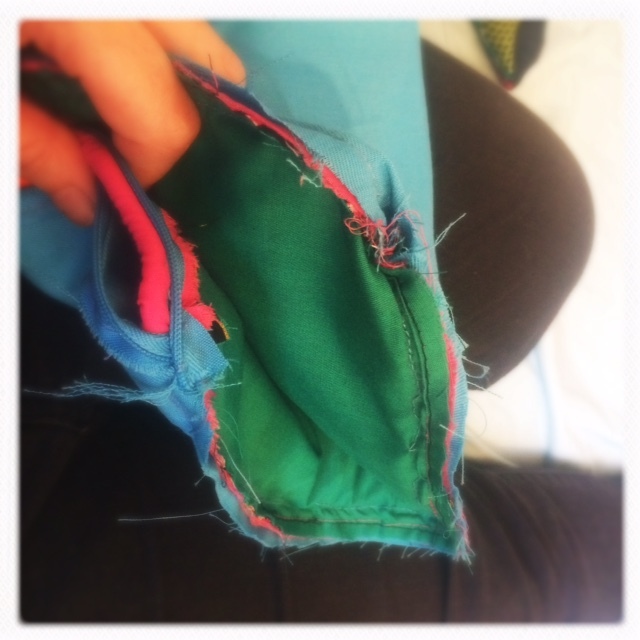 If it turns out too loose, you can pull the cover off and stitch a seam all the way around to take up the slack. 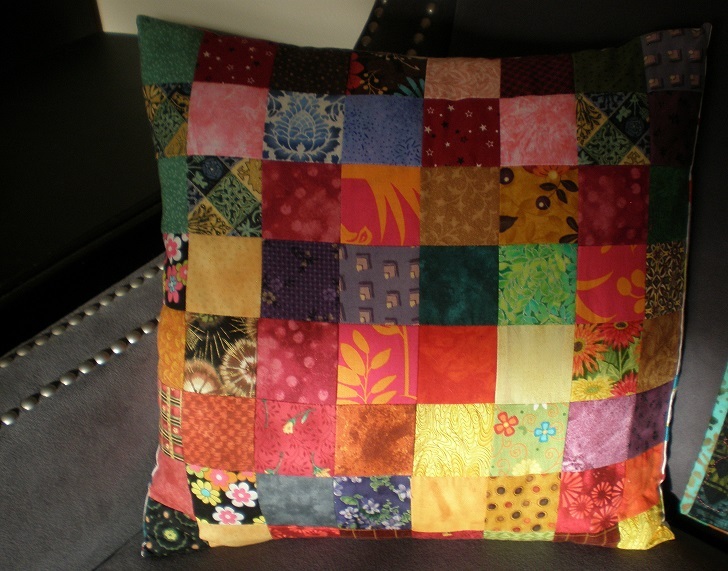 I've not made pillow covers with patchwork, but often use upholstery fabric that has been washed and shrunk before cutting out. I usually make the cover an inch or two smaller than the form. Postage costs so much that I soon found it better to make the covers and let the person on the other end buy the forms, or send the money to have them buy forms. I wish you many happy hours of sewing. If you sew a scant 1/4" on all seams, starting with 4.5" squares, you will wind up with a square that is 16" finished, or 16.5" unfinished. This leaves 1/4" all around so when two panels are sewn together each finished side is 16". If you want the unfinished patchwork to be 16", you can simply trim off 1/4" all around after you've sewn the 16 pieces together. You can find instructions online for measuring your 1/4" seam. Here's one source - https://www.craftsy.com/quilting/art...ter-inch-seam/ It is not the size of the seam allowance that matters, but the size of the finished piece. Since you're sending the patchwork to someone else, I would make sure it's at least 16" (since that's what your pattern calls for) and not worry if it's a bit larger. Let the person who is putting the patchwork on the forms do the final bit of trimming and sewing to fit the forms. Thank you for the suggestion of a 3x3 center and a 6-inch border, that might work interestingly and allow me to use some squares. for a 17'' panel, how big do the squares have to be to allow for the 1/4" seam allowance for the patchwork and the 1/2" seam allowance all around? I can convert in centimeters but it gives me strange measurements like 4.33 inches. Also, with 1/2" seam on all 4 sides and 1/4" seam in between the squares, do some squares end up looking smaller? It's a two-person project, I'm in charge of the squares because I have the rotary cutter and mat and my co-worker is sewing because he has the sewing machine, but has no experience with patchwork, he mainly does clothes. So we're both learning. And I have to download some videos for us to watch together. It's like a mini-sewing school. We'd like the project to take off so we can offer something that is already very beautiful but the wrong size, we have some minor adjustments to make I think mostly on measurements and then on technique. Once we've assembled one with everything done right, pressing the seams the right way, all the right seam allowances, the patches the right size for the 17" panel, we will feel more comfortable. We just found a product we liked and set about replicating it, and did a really great job but we didn't know there were so many technical parts we were missing. I feel bad having joined and being so clueless. This is probably not the type of members you're looking for, although we love what we're doing and we're enthusiastic about it. We believe in it and have the desire to do it the right way, just jumping in we didn't know what we didn't know. And now we do and it's a bit sobering. That's beautiful! That's exactly what we're trying to do but with 4-inch 4,5" squares really. I guess don't get a fat pillowform. and you had two 16-inch panels? or were they smaller once you sewed them together? I'd be interested to know since it's basically the exact same thing we're trying to do! THanks for sharing that beautiful picture. I think I'm a couple of weeks away from being able to share our work. as you can see there are so many issues below. The edges aren't serged...the squares weren't sewn straight, some squares that were too small were included anyway. I'd like to establish the proper patchwork techniques here and teach them to tailors so taht they can offer that in their arsenal in terms of products they can make and sell. So it would be a skill for them to end up earning money from. That was the original idea behind making the pillowcases, was bringing a new technique into town. Last edited by Vandamme; 05-12-2018 at 12:34 PM. my squares sewn together made a 16 1/2 inch front which includes the 1/2 inch for seams. 1/4 on all sides of course. you could get some Fray Check in a bottle and put some on the raw edges inside to keep them from shredding. 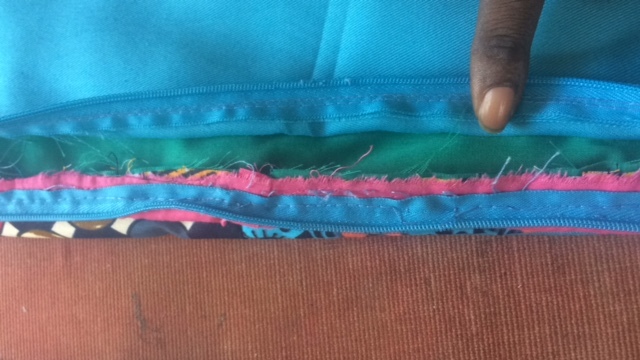 threads can get into the zipper which is irritating. the Fray Check drys a bit hard, so keep it in places one won't see or touch of course. hmmm, the lower left squares that are not sewn straight-can you remove stitches on those and resew? otherwise check with a ruler to see how much seam allowance you have on those. it may work as is if it is enough to stay sewn well. I can't get Fray Check here...unfortunately I can't get anything but thread and fabric. I am going to remove the zipper on the pillowcase and we're going to serge the edges and do it right. I have to bring one patchwork to completion the right way. I know my seamstress will be so happy to master the technique and it will be a real bonus for her future earnings to able to advertise that she can do this by the book. It's just an initial learning curve. All I need now is what to start with in terms of squares with seam allowance in order to finish and have a patchwork panel that measures 17"the maths in imperial system are really beating me down, I've only ever used metric. And I can't use metric now because my rotary cutter ruler and mat are in inches. You have received great advice here and your determination will take you far. Since this is your first attempt at piecing, you are doing a good job. You will gain skills as you go. We'll be looking for pictures showing your progress. I can't speak for everyone, but you're enthusiastic and willing to learn, which is exactly the type of members I like. Welcome to the board! We all started out where you are now, and plenty of people will enjoy helping you learn. Please never feel like you aren't wanted here! To make a 17" square pillowcase, you will need to cut your squares at 4.75" instead of 4.5". I really like the pillowcase in your picture; it does have some issues as you pointed out, but the fabric is beautiful, and your partner did a very nice job of matching the corners up. This seems like a very worthwhile venture to me. One piece of advice I got from an interior designer: she always buys pillow forms 2" or so larger than the pillowcase. This makes the pillow look fuller, and look good longer even if the pillow is getting hard use. I even have a 10x16" pillow, made by folding a square pillow form in half! Pillow forms are very forgiving, so your case size doesn't have to be as exact as you're trying to make it. What youre saying is encouraging. Even with 15-inch cases they might actually snugly fit 16-inch forms? Welcome to the board. I live in Iowa, USA and can't tell you how many times I've jumped into making something with my eyes closed only to find my error. So you are in good company as more than myself has done this from time to time. In the end we all find a way to rectify our mistake....and the finished product is gorgeous.